is a student-driven, collaborative degree planner that empowers students to extract the maximum value from their university years. The system is designed for an elective-based university curriculum where students have to pick courses for their upcoming semesters that can fulfill their degree requirements. As a result, the interactive, context-aware interface allows students to visualize and plan their upcoming semesters, while also enabling university advisors to access a complete student profile, guide their students and identify students who are at risk of a late graduation. In addition, college administrators can manage program requirements with what is billed as the industry’s first interactive program editor. Wasi says that when starting up, their first challenge was to validate whether Metis would be bringing significant value to the college community. “We wanted to make sure our efforts and investments were worth it,” he says. 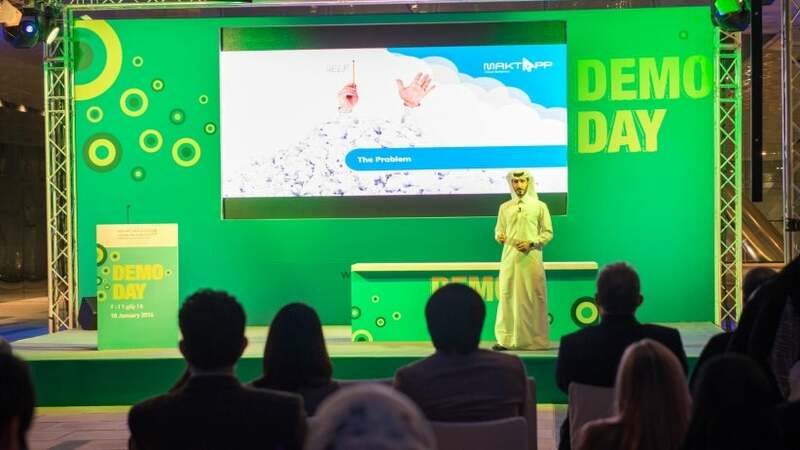 “We addressed this concern in two ways.” First, they were able to bring Mark Stehlik, former Associate Dean of Education at Carnegie Mellon University in Qatar, on board as their project advisor. “Mark has more than two decades of experience in academic advising. Getting him excited about our solution meant that we were doing something useful that addressed the pains of existing advising process.” Second, they conducted a pilot study in their college to measure students’ interest in Metis. “The numbers were encouraging as we saw more than 82% of students using Metis more than once, with an average session time of 14 minutes. Our work received the second place award at the Research Symposium in CMUQ,” adds Wasi. The biggest challenge when starting up, according to Wasi, was to . The co-founders of Metis include Rukhsar Neyaz, who hails from India, and Jiyda Moussa from Mauritania, both of who hold undergraduates degrees from Carnegie Mellon University. “We just happened to be lucky in this regard,” Wasi says. “Up until graduation, Rukhsar and myself were working on this project, handling backend and frontend of the application respectively. Just after graduation, Jiyda joined the team, bringing in enterprise experience to the team.” He also notes how the Entrepreneurship Innovation Centre at CMUQ heavily supported them, especially thanking Maher Hakim, head of the center, for steering them in the right direction. “We have been fortunate to meet extremely kind individuals in the past few years who have helped us in all kinds of ways. They helped us refine our product, improve team culture, prepare impactful sales pitches and attend meaningful events. With respect to the Qatar National Vision 2030, Wasi says Qatar is proactively expanding its higher education system to match, and in some cases, exceed, the best in the world. “Our vision to leverage technology to enhance learning and drive better student outcomes aligns well with this,” he notes. “As recent graduates ourselves, we understand the kind of investment students make when they decide on their college journey. By planning their degree in advance, students extract more value out of these four years– not only enhancing their learning, but [also] allowing them to become impactful contributors postgraduation.” Equally important, Metis has decided to go for the B2B SaaS Model targeted towards universities around the world. In addition, they offer a customized cloud-hosted application for each partner university with seamless integration with their Student Information System and Course Catalog. In other words, the interactive, context-aware interface allows students to visualize and modify their upcoming semesters. “The unique course recommendation system lets students discover courses from the university’s catalog that aligns with their degree requirements, interests and career goals.” Wasi reiterates and highlights how Metis also enables university advisors to access a complete student profile, guide their students and identify pupils who are at risk of a late graduation. “College administrators can manage program requirements with the industry’s first interactive program editor. 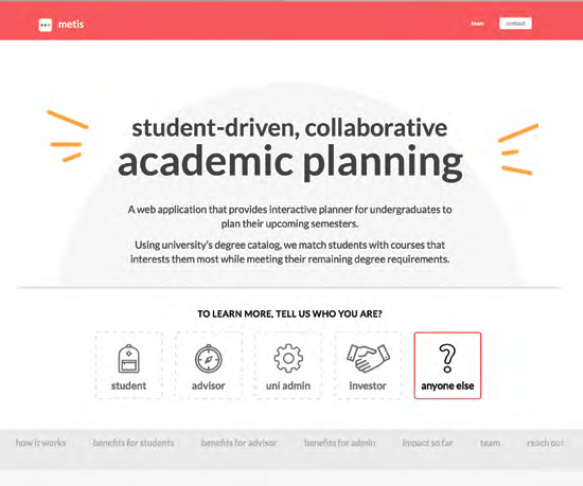 As an analogy, we are trying to be Slack in the space of academic planners.” In short, Metis’ mission is to assist students in planning their undergraduate journey through student-driven collaborative tools that eliminate dull tasks, and their vision is to. ‹ Previous Post Want to Open a Vintage Shop? Experts Share Their Secrets.